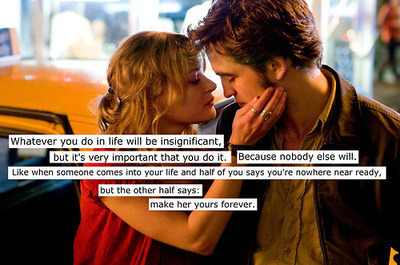 This movie is not an ordinary thing because it’s plot is really unpredictable. The story is not your usual happy ending story but the tragic story brings out positiveness. It’s not only a love story between Tyler and Ally but also it’s a story of a broken family. Ally has trauma with subway trains after witnessing her mother’s murder. While Tyler’s sister is a victim of school bullying because with her relationship with her dad. But after Tyler’s death, September 11,2001, all of them faced their fears. I’m really glued with Ally’s quote because she’s really true. Why wait? Why wait for the things you really want to do now? Is pride becoming a barrier? What if you die and regretting those things that you should have done while you’re alive? What if the person that really needs you died and you’ll end up regretting all of your life? Tyler also has his journal with him and writing random thoughts about his life. I think it’s his way of wanting him to be remembered when he dies. How about you do you have something to be remembered? Do you have good memories to be remembered? Do you have something for the people you love the most? Did you do something good to be talked about when you’re not anymore in this earth? Did your fingerprints leave something on the people around you? We must also remember that we’re just like a flower that’s quickly fading. Here today and gone tomorrow. Don’t let everyone remember you being the bad one. Don’t let the next generations that you will left have bad memories with you. Make something good to be remembered when you die. It’s not really hard to something good to your neighbor, mind you it’s also in the bible that you must love your neighbor as you love yourself. Start doing it right now. I know you also don’t want for people to forget you and to bury in oblivion all of the memories they have with you. 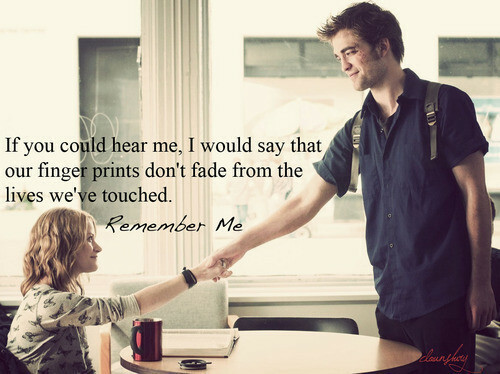 Also because our fingerprints really don’t fade from the lives we’ve touched.